Leading the Melbourne hard dance movement forward to the next level. Join us every Friday in a place where you can relax your body, move to the groove and let the beats control your body. Let our DJs take you on a journey that pleasures your senses and send your mind on a rhythmic trip. So reach up for the lasers and kiss the sounds that pounds your senses. There will be some massive international names im the coming weeks watch this space. 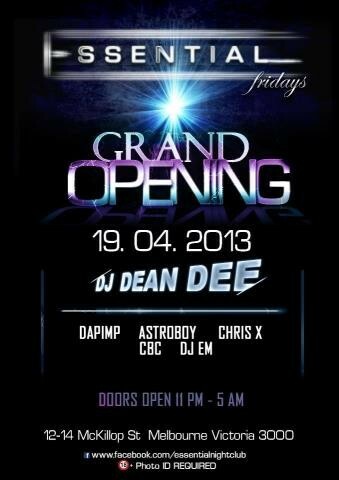 For guest list entry mention weemans guestlist at the door or message your name to 0408330668. Hosted by our city's leading mc of today - MC Konstruct.